Mobility is a really strong driving force in the market right now. PCs became laptops, laptops became tablets; the idea was to have everything accessible on the go. Plainly, the idea worked too well, because every technology is focusing on mobile-first. CRM is not any different. CRM statistics reveal that 65% of the employees were able to achieve their sales quota when using mobile CRM. On the other hand, a mere 22% were able to achieve their sales quota when mobile CRM wasn't used. Additionally, 81% of all CRM users used multiple devices to access the tool. Out of three, 48 percent use smartphones while 45% use tablets. However, a majority of employees still use PCs and laptops to primarily access CRM. What does it mean: Mobile CRM enables employees to access the tool on the go. This makes them available for customers more often, and therefore, helps achieve their sales quota with greater ease. Despite laptops and PCs being the preferred choice due to their higher processing power, smartphones and tablets are becoming an essential second-option to most CRM users. The popularity and rapid adoption of cloud is a story in its own right. Initially considered a waste of effort, we have since come a long way in realizing that utilizing common resources on the cloud is much more efficient than having them on-premise. CRM was no different. In 2008, only 12% of the businesses employed cloud-based CRM, while an overwhelming 88% preferred the usual on-premise CRM tool. In exactly a decade, these numbers have reversed. In 2018, 87% of the businesses are estimated to use cloud-based CRM, while a mere 13% are pegged to use on-premise CRM. What does it mean: The rise of cloud is not going to slow down, and it holds true for CRM too. 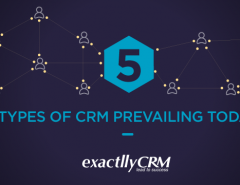 With all the benefits and virtually no drawbacks, it was no surprise that cloud-based CRM was responsible for almost half of the total CRM revenue in 2017. Annual growth over the years is the parameter against which technologies are tested. It is easy to reach awesome heights due to sheer hype alone, but to maintain and improve that growth over the years signifies the true vitality of any technology. We saw this with computers, smartphones, internet and even social media. Fortunately, CRM passes this test too. In 2010, CRM had a total revenue of 14 million USD. In 2017, this reached almost 37 million USD. In 2018, CRM is estimated to have total revenue of 40+ million USD. The interesting thing to note here is that back in 2014, when CRM had a revenue of 24 billion USD, it was estimated that it would reach 42 billion USD by 2018. What does it mean: It is clear that CRM has had a consistent growth over the years. Even more interesting is the fact that the growth rate has been more or less constant. It implies that CRM has been gaining a large user base not because of the hype, but purely because of its utility for businesses. It is easy to deduce that the coming years will see a similar growth. Specialized technologies aren't really the most successful ones. Imagine if Facebook only allowed social interaction over the years! Diversification is important, and CRM apparently understood it too well. The most obvious CRM arena for investment was customer service. However, it was interestingly followed closely by marketing automation and sales force automation. Knowledge management was another field where companies using CRM wants to invest in the near future. Another important statistics was the primary benefits companies aimed to derive from CRM. 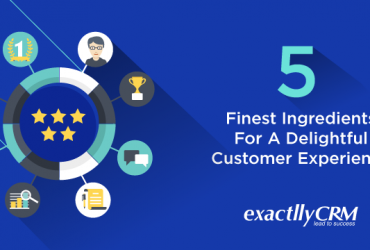 Here again, better customer service was the most prominent (74%), followed by better customer satisfaction (66%) and better customer retention (56%). The interesting features noticed here were generating new businesses (53%) and improving market intelligence (29%). Yet another interesting CRM statistics was its use cases. Initially, CRM was primarily used to store customer information in the database. While contact management (94%) is still the most prominent use case, other prospects have also opened up. Lead nurturing (65%) and email marketing (59%) are two very interesting use cases for CRM, along with sales forecasting (59%). What does it mean: The reason behind CRM's huge success has largely been its diverse usage. While the features and benefits originally associated and marketed with CRM still dominate, alternative uses have captured a lot of uses. In some cases, these were features that were simply used in a way not thought before, like lead nurturing. Other times, additional functionality like social media integration were added by leading vendors in the market. In any case, the diverse uses of CRM ensure that it will continue to remain relevant even in the near future. Not all stats could be pleasing to the eyes. While CRM continues to shine, there are some concerns regarding the people who use it. Only 22% of the salespeople are aware of CRM. Despite being used in more than 90% of the companies, such ignorance among sales people is a matter of concern. This concern is magnified when you realize that not even 40% of the organizations have a CRM adoption rate of over 90%. It means that 2 out of 5 businesses fail to adopt CRM efficiently. Another hurdle is data entry, which is still a challenge despite being the primary use case of CRM. 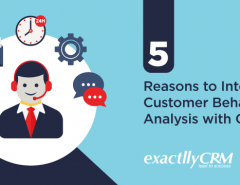 Due to this, 32% sales people have to spend more than an hour on manual data entry, defeating the purpose of CRM. 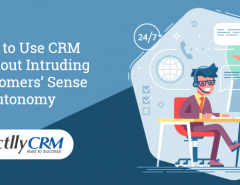 What does it mean: While CRM is a great tool in itself, the shortcomings of its users have become an obstacle in achieving its full potential. We hope the CRM statistics we shared will help in illuminating the path of this amazing tool in the coming future.